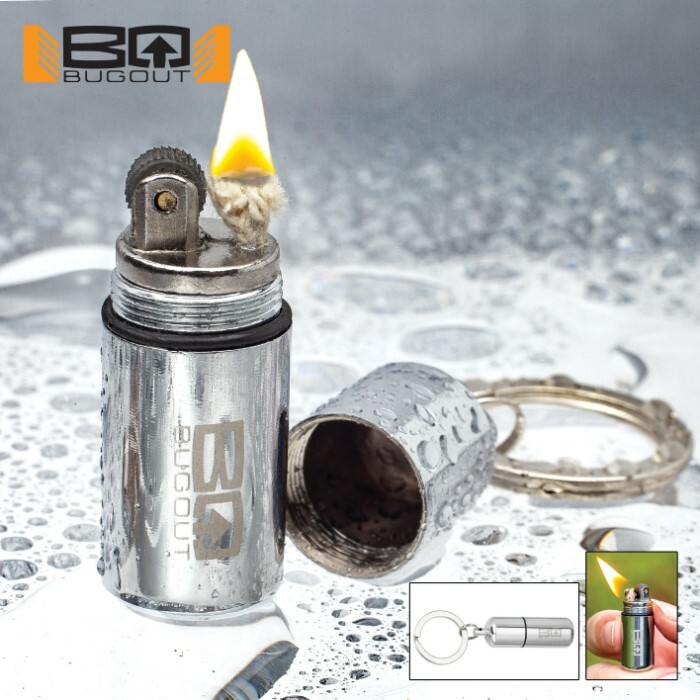 BugOut Water-Resistant Micro Lighter On Keyring - Stainless Steel Construction, Screw Top With O-Ring Seal, Fluid Not Included | BUDK.com - Knives & Swords At The Lowest Prices! 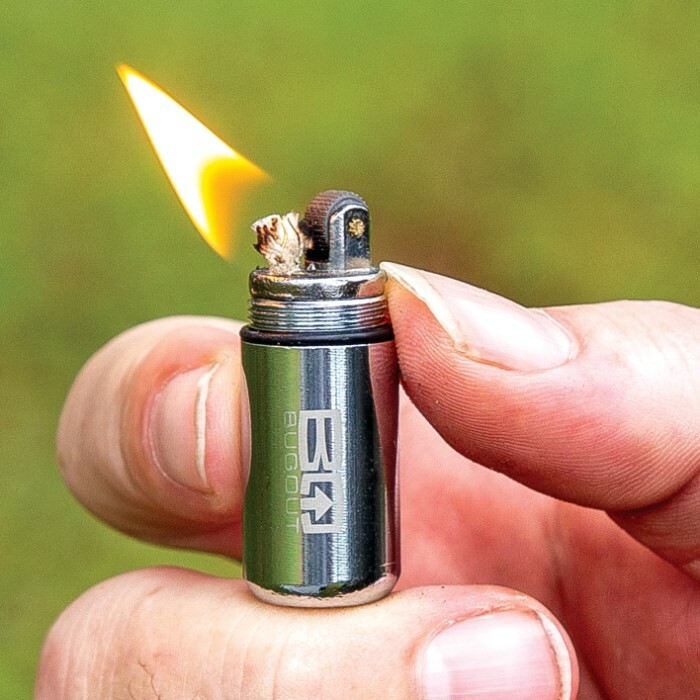 The BugOut Water-Resistant Micro Lighter On Keyring gives you a must-have survival tool in a compact, easy-to-carry package. 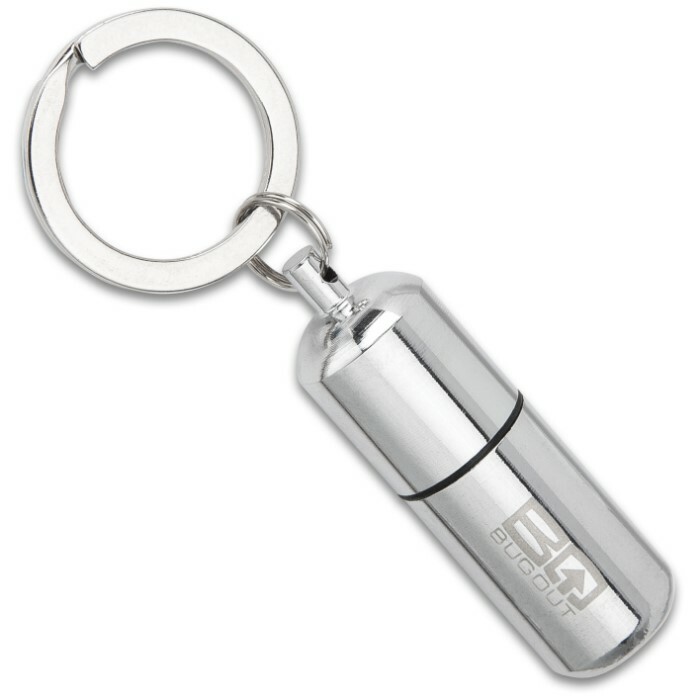 The tough stainless steel capsule-shaped case has a convenient, integrated keyring so that you can take it anywhere. 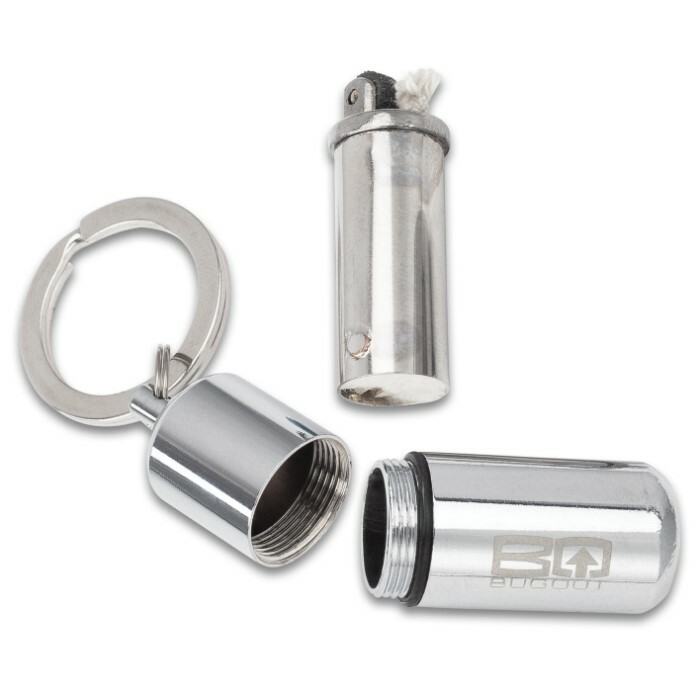 The micro lighter has a built-in O-ring on the screw top to keep the fuel from evaporating and water out of the case. 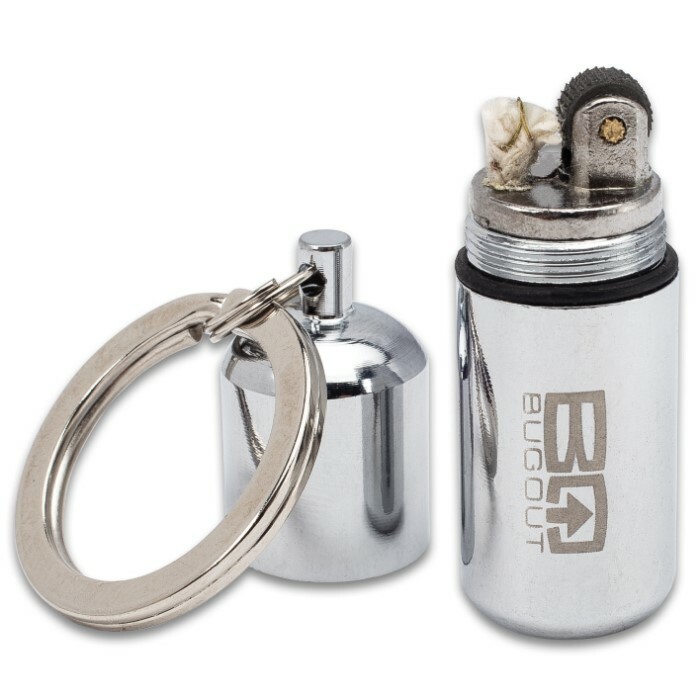 The micro lighter’s dimensions are 2” in overall length with a 1/2” diameter and it uses standard lighter fluid (not included). 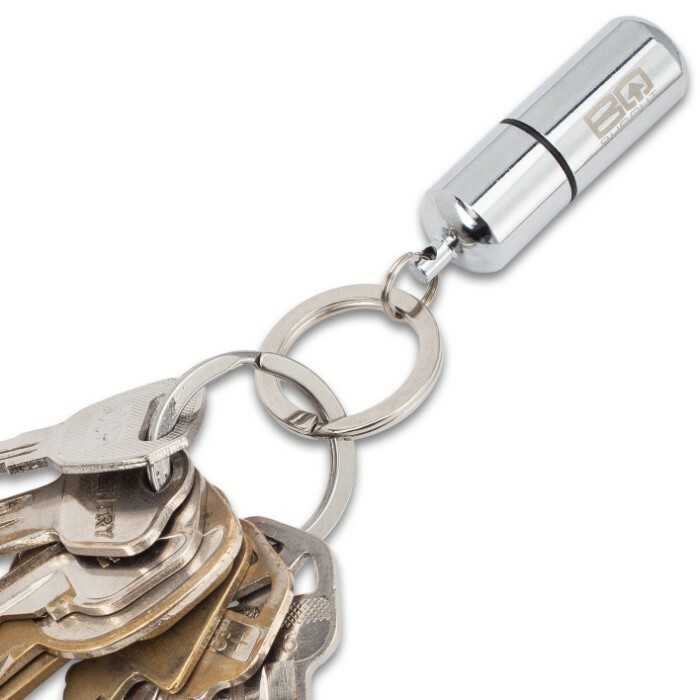 It is perfect to have at home, in your vehicle, on your keyring, in your toolbox, or in your bugout bag. Bought this in January and just tried to light it now (3/4). Worked fine! Unlike a Zippo, this little thing does not allow the fluid to evaporate. Average zippo has to be refilled at least once a week but screw on top sealed by an O-ring on this thing keeps it fueled up just fine. I wish they made another about an inch longer for more fuel. Great SHTF item.